Bathroom Tile Ideas – Check a look at these inspiringbathroom tile ideasthat can enlighten your bathroom. Tile is the most awesome material for bathroom as it is high durable, due to bathroom that has high traffic of water and use. 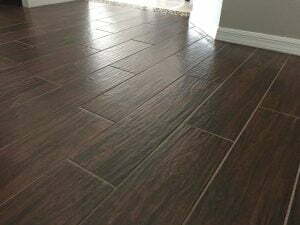 More than that, the tile or your bathroom floor is the most noticeable part of your bathroom, like other room. Therefore, the tiles that you choose will also affect how your bathroom appearance will be. 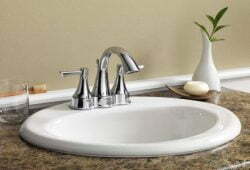 In fact, this is the most important part that you need to pay more attention, if you want to remodel your bathroom. With just changing your bathroom tile or decide right tile in the beginning when you build your bathroom, you also can create the appearance for your bathroom. So, choose the beautiful and stylish bathroom tile and create the best appearance for your bathroom. 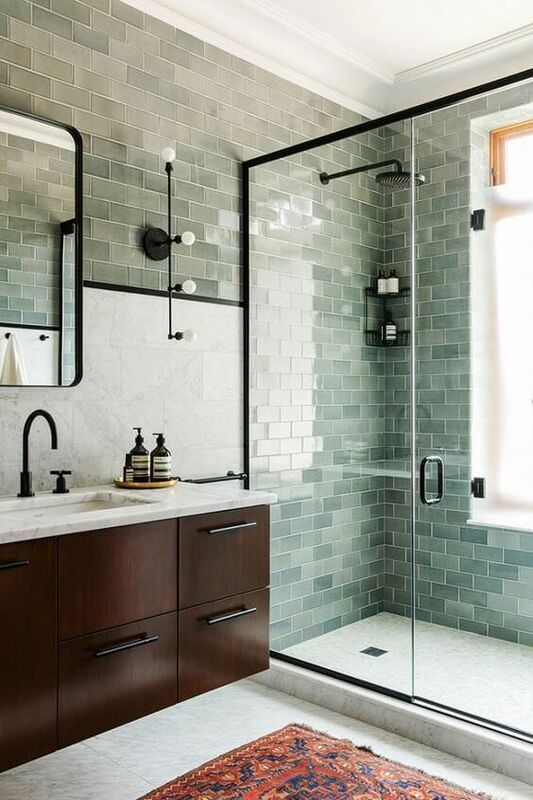 Here are awesome bathroom tile ideas to make your bathroom more stylish and cozy. The first ideas come from small bathroom with white tile and shower. As minimalist bathroom theme, the wall is attached with white tile in two different patterns. In this bathroom, the simplicity of white minimalist tile is broken with the yellow tile that installed in several wall and at vanity. In the shower room, the glass door is used to avoid the water comes out. Right into wall with attached shower, it has mirror and compartment to store your bath stuff. Right to the wall besides, the yellow tile is installed with the vertical zig-zag pattern to create contrast look. For you who love simplicity, this Scandinavian bathroom is perfect for you. All the elements is painted and choose the white color such as wall and toiletries. 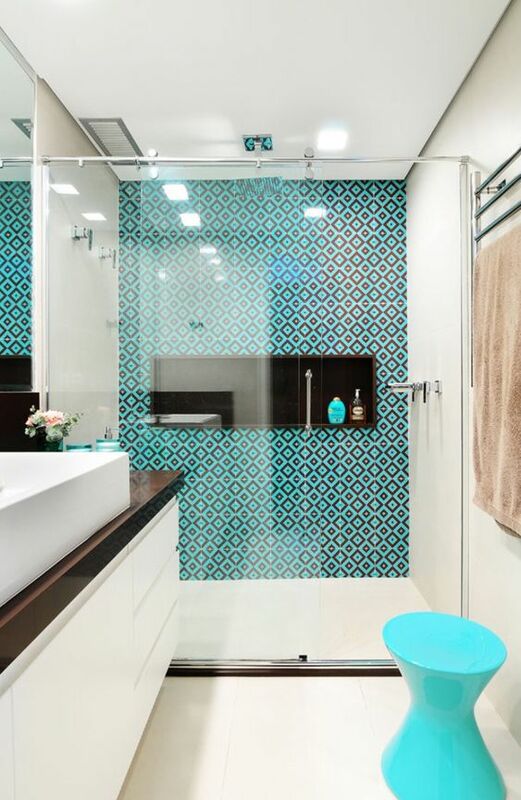 In opposite, the back wall of shower room is installed with blue flowered pattern tile that have same pattern tile with flooring use. To make the bathroom look soft, there is towel rack in corner of bathroom and there also wooden step in right to the bathroom space. 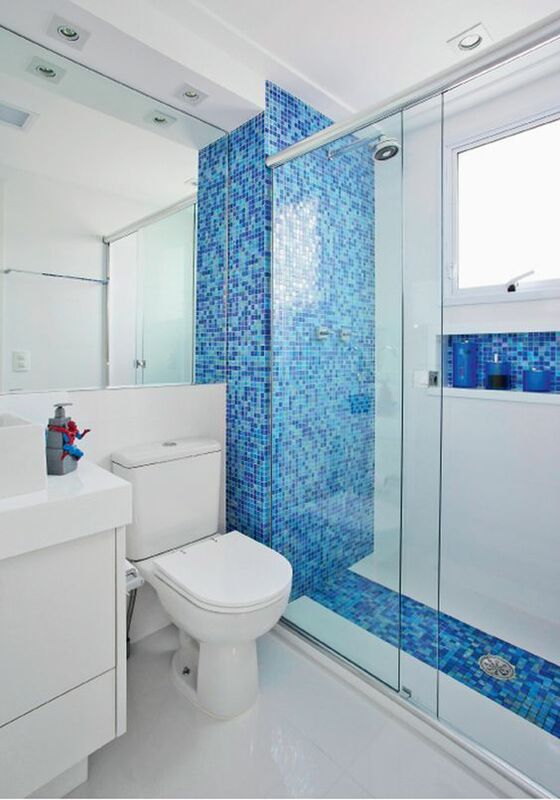 For the shower, it uses same blue hues as flooring and wall. In this bathroom tile idea, the composition of bathroom tile is installed in two spaces, in backsplash of shower room and in the built in drawer. 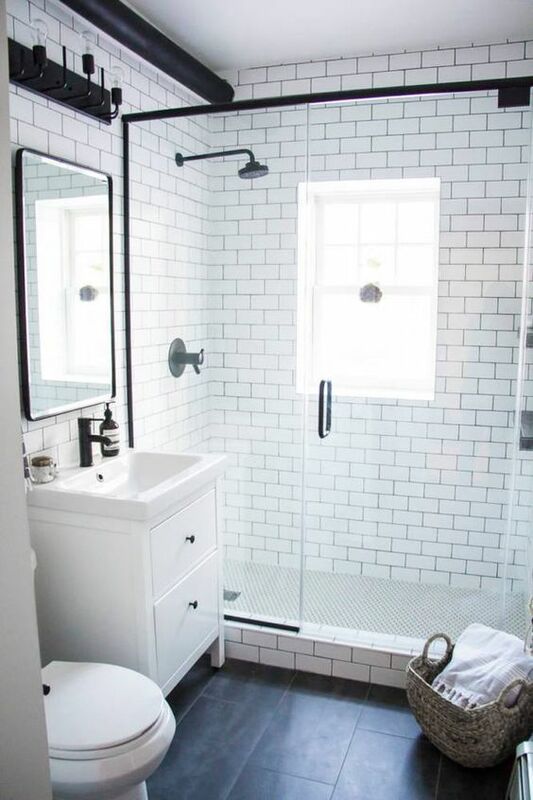 For the entire atmosphere, the bathroom is painted with white and the flooring tile is also use white too. For the vanity, it settled right in front of toilet. Right to the wall before shower, it is built in shelves to storage bathroom stuffs such as soap and so on and the back is tiled with blue tile. 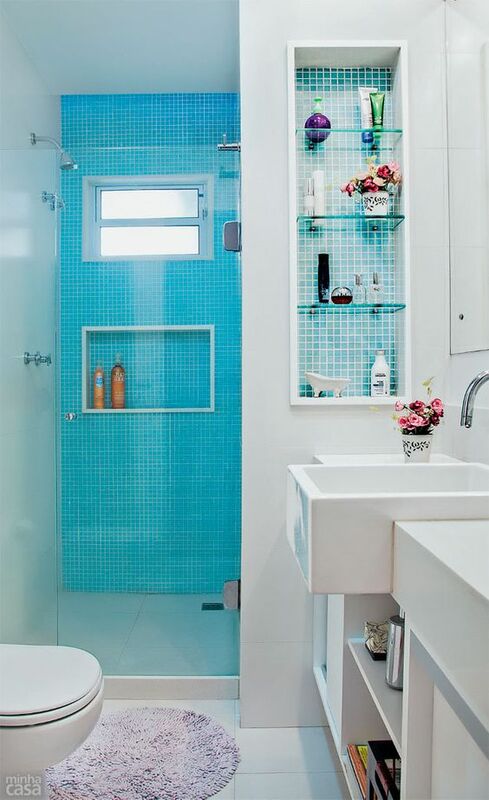 Move to shower space, the backsplash wall is tiled with same hues of blue tiles such as in built in shelves. Industrial idea might become the unique tile idea below. It is unusual to corporate industrial; theme in bathroom. For the shower, it used pipe and faucet from stainless and designed such as the plumbing pipe. 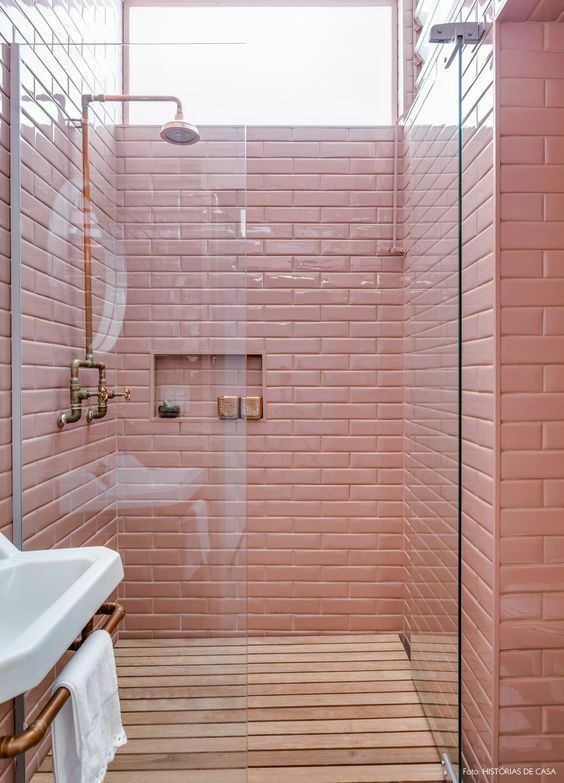 For the entire bathroom, it installed with red hues tile. For flooring, it use wooden pallet. 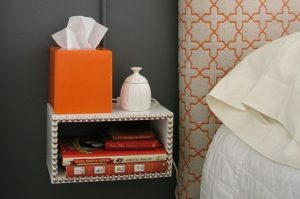 Right under the vanity, there is red orange pipe installed to use as towel hanger. For modern minimalist idea, this bathroom will be perfect especially for those who masculine men. For flooring, it use big tiles black tile. 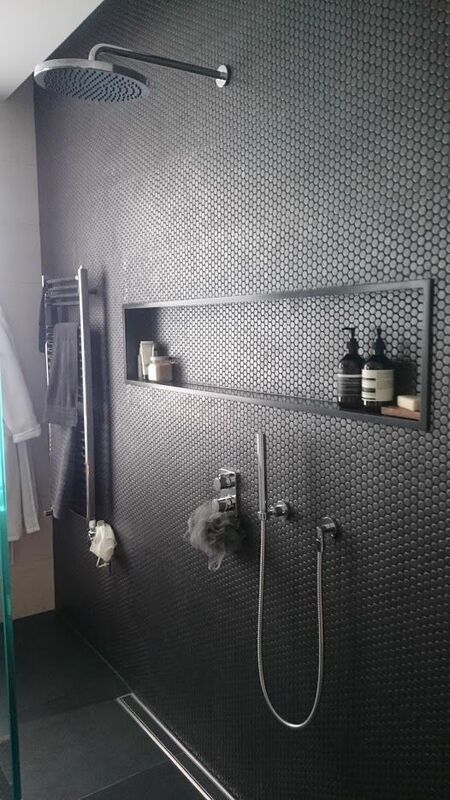 Right to the shower wall, it installed with black patterned with hexagon tile. The wall for shower installed in the length one and it also has built in hole to place the bathroom stuffs. 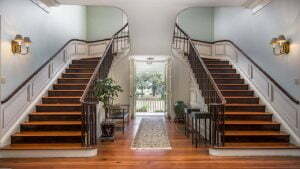 For you who love antique look, try to apply retro look to your bathroom. This retro look corporate several elements such as green grey shade tile in the wall, and white tile in flooring. To add retro look, the mirror vanity use big square mirror and there is bulb light besides of the mirror. The Persian rug is placed right to the shower room. The next idea is for elegant chick bathroom tile. 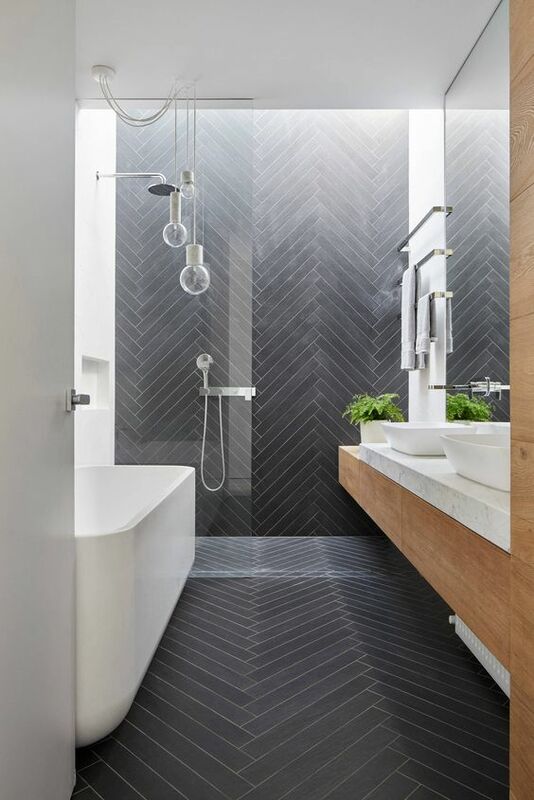 The tile in this bathroom use black herringbone tile that installed in flooring and wall. For the lighting idea, it uses the hanging bulb. The floating bathroom vanity is used and corporate wood in under drawer to mix with stone countertop in vanity. 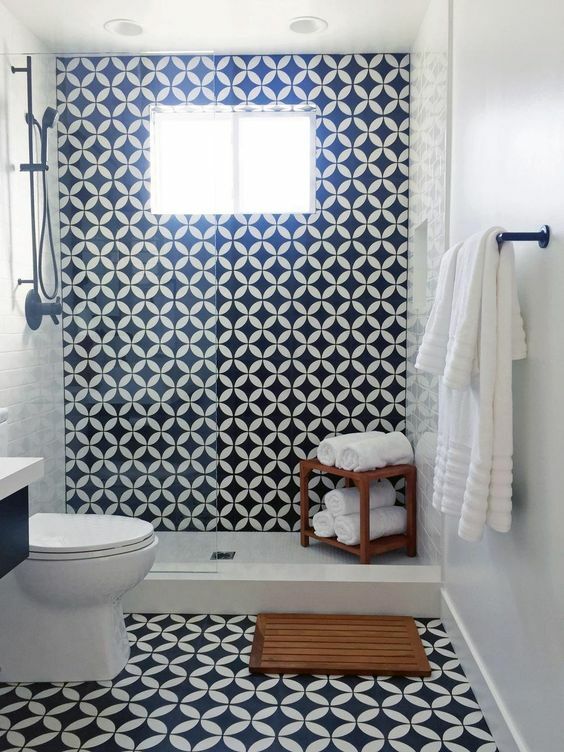 For small space, use white tile in walls and black tile in flooring to create contrast look. 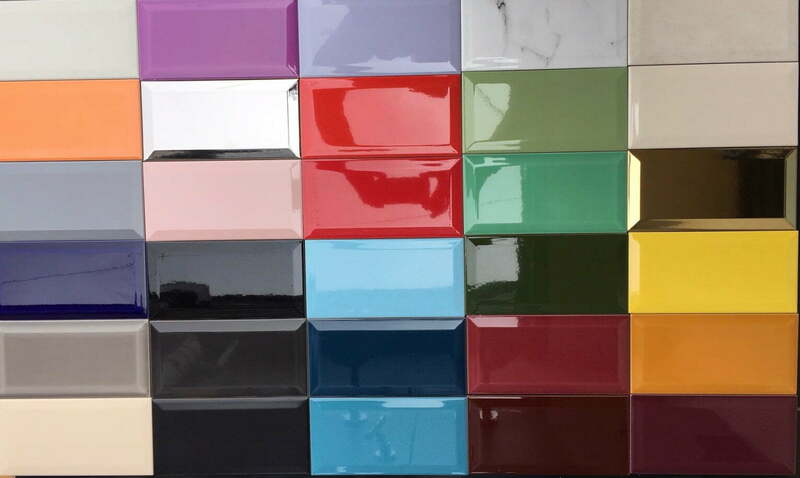 For the other hardware elements such as lighting and shower door frame, painted with the same hues of flooring tile. The bulb lighting adds the vintage sensation in the bathroom. 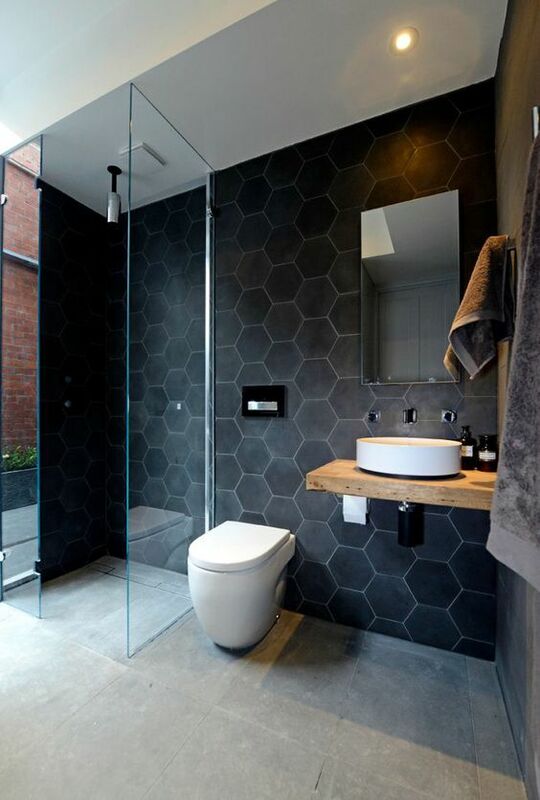 This idea is for simple bathroom idea with old fashioned big hexagon tile in wall that mixed with concrete flooring and wood vanity. 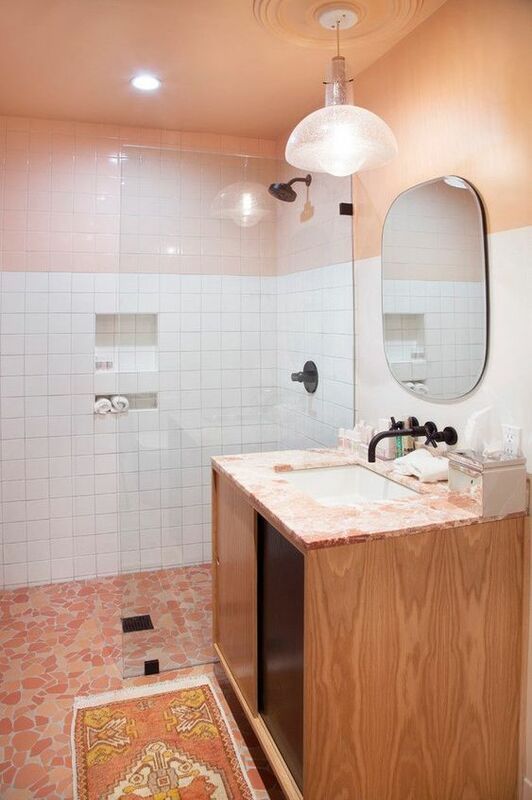 The shower room is settled in the sides of toiletries and the cabinetry. It look simple but still sophisticated. The red hues Mexican flooring tile is use in this bathroom to match with bathroom countertop. For the wall tile combined with white tile and red. The pendant lighting is used in this bathroom. The Mexican rug is settled in under the vanity. 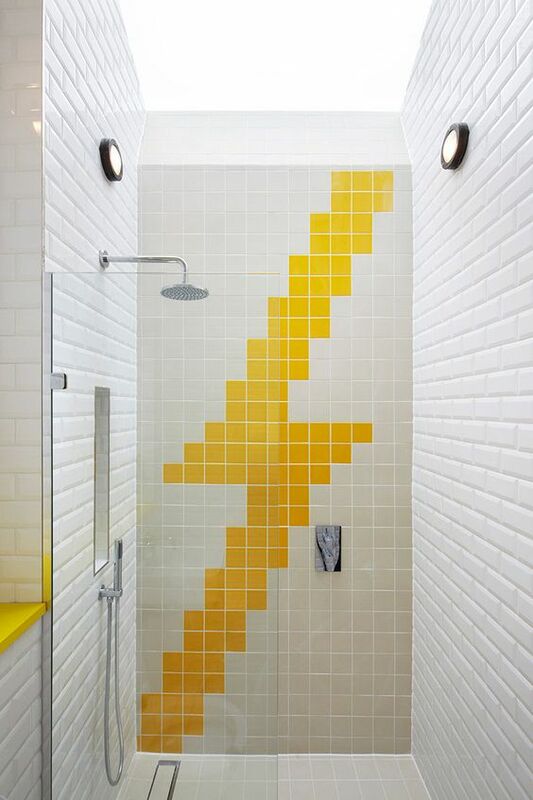 This is tile idea for those who want to have bathroom with powerful atmosphere. 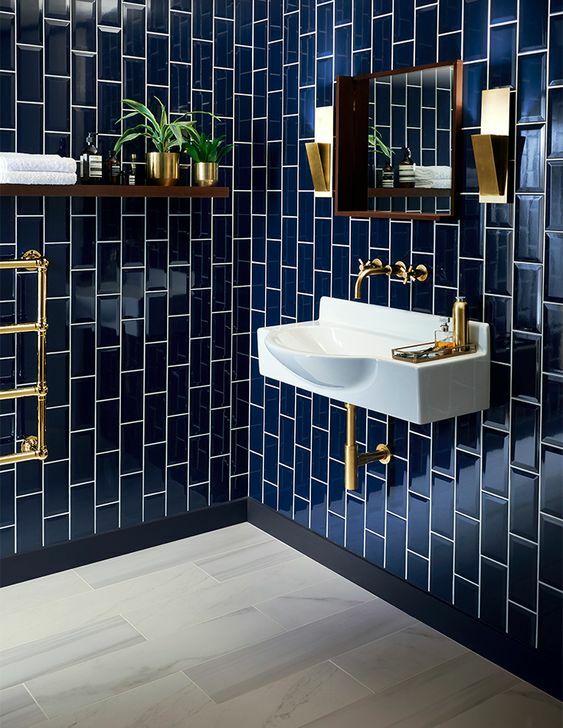 The elegant of golden hardware look contrast with blue shiny tile in the wall and white patterned flooring tile. The blue tile is used the median size and installed in vertical way. 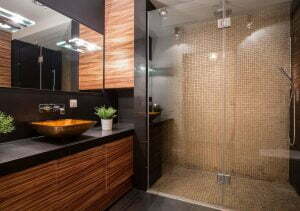 For you who love unique look, the mosaic tile backsplash in shower room can be considered. Mosaic tile is installed in the shower wall, flooring and at bath stuffs hole. The mosaic tile creates elegant look and powerful atmosphere. 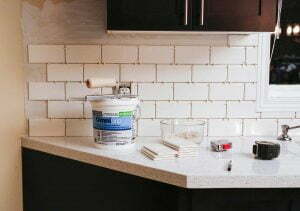 The blue tile backsplash look contrast with white wall. The only tile in this bathroom is on shower area. There is blue chair set in front of vanity. The other wall is painted in white and the vanity with stone countertop is installed to add color hues. The next idea is yellow bathroom tile. 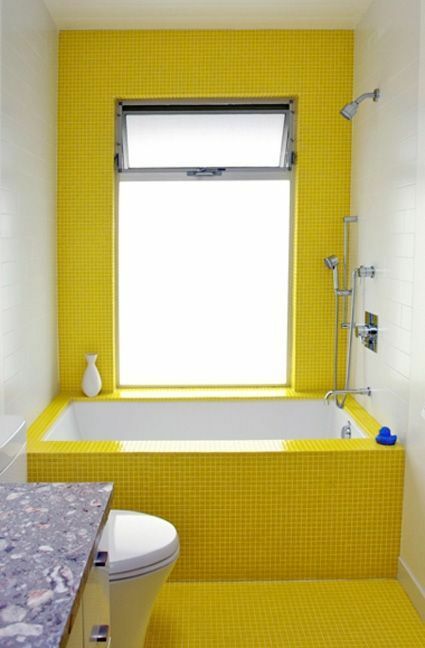 In this bathroom, the yellow tile is installed in one backsplash wall right to the window side, continue to the bathtub surround and finish to the flooring tile. The yellow tile makes the white tile in the wall contrasted. 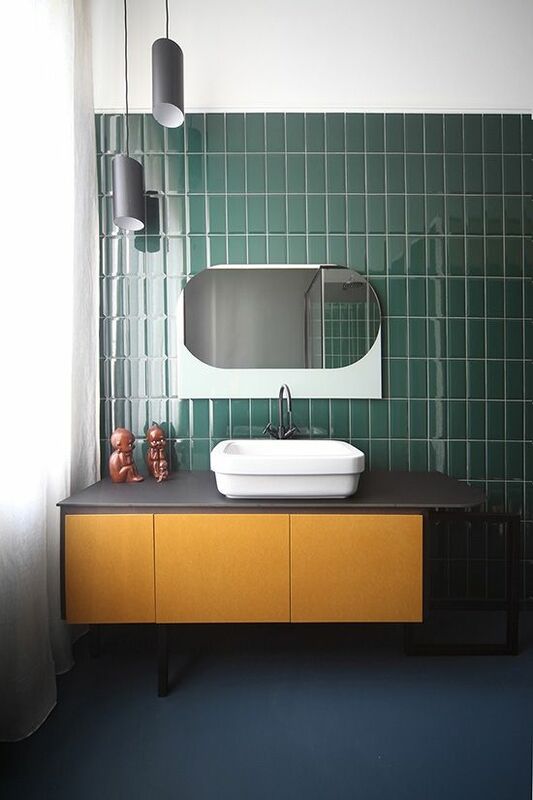 In this bathroom tile idea, it corporates the green algae tile in wall where the vanity settled. The green algae tile is also installed in the shower area, right where the shower installed. The vanity mirror is framed with white tile.